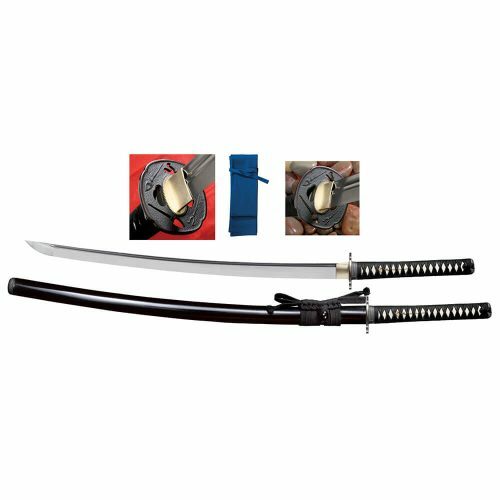 100% Handmade Premium Wakizashi – Includes Stand, Signed Certificate, Maintenance Kit and Silk Sword Bag! The Habaki, Menuki, Fuchi and Kashira are hand crafted from 98 % pure, quality silver. The Tsuka is skillfully wrapped with only high quality Japanese silk and only genuine ray skin is used. The Saya is built in two layers, with a hardwood outer layer and softwood inner layer that contacts the blade. Each saya is hand crafted to custom fit each individual sword, then finished with multiple coats of hand rubbed lacquer. The Koiguchi is genuine black horn. Each full tang blade is perfectly balanced and hand forged from only high grade high carbon Japanese Steel. 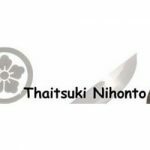 Every Thaitsuki Roiyaru Ivory Katana comes with it’s own serial number and certificate from Thaitsuki Nihonto so you can trace it back to when and by whom it was made. 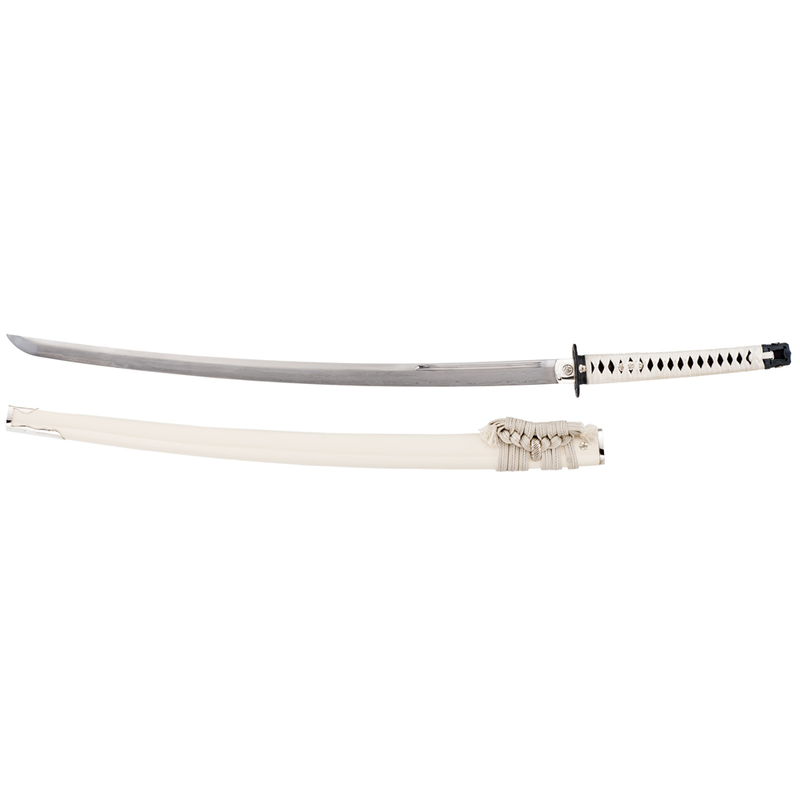 Each sword is 100% handmade and the fittings are handcrafted, so no two swords will be ever be exactly alike. Each sword is it’s own, one of a kind, work of art. 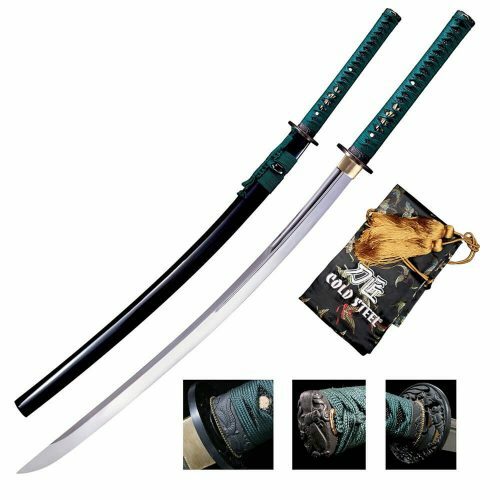 Featuring a hand forged and folded Sanmai high carbon Japanese steel blade with 1024 layers, this is among the upper echelon of katana for the high end sword collector. 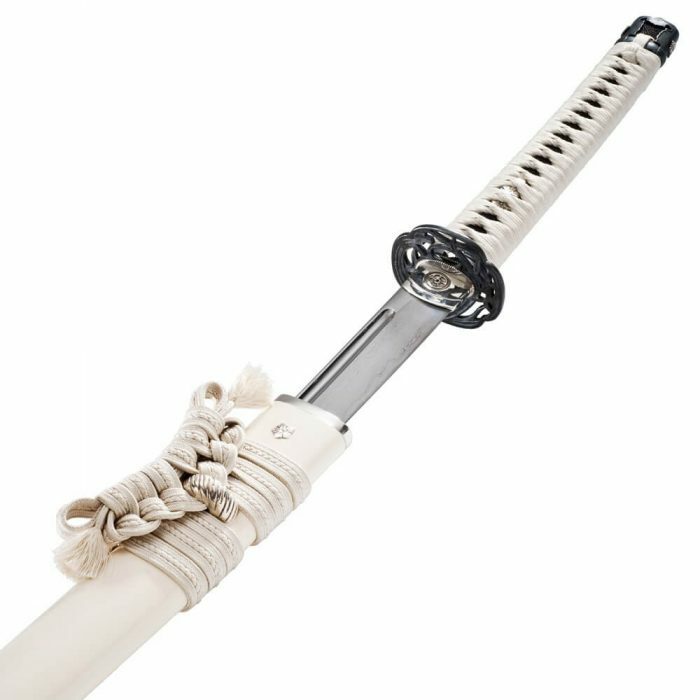 Hand crafted 98% pure silver fittings with a traditional Japanese floral motif as well as golden brown Japanese silk over black rayskin wrapped, double pegged tsuka round out this stunning katana. 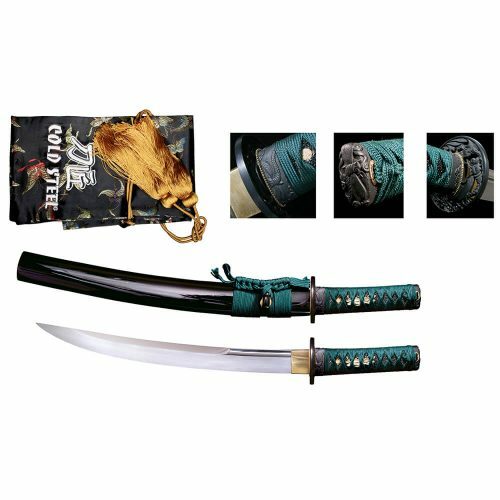 Includes stand, certificate, maintenance kit and silk sword bag. 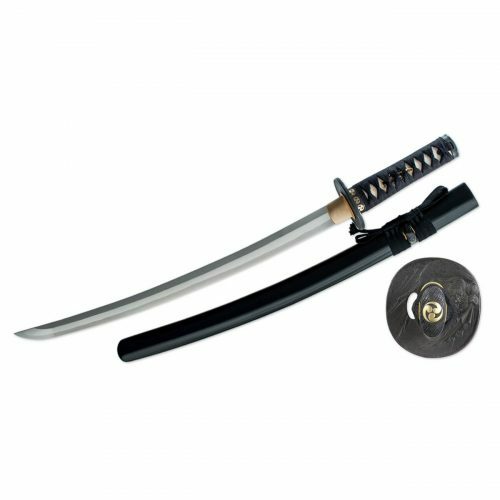 Must be at least 18 to order this sharpened, battle ready katana.